I’ve never been so eager and festive so early in the holiday season! I was already lighting the balsam fir candles and watched a Christmas movie two weeks before Thanksgiving ;-) But now that we’ve officially made it past turkey, it’s game on for the all the music and tree decorating too! How did you take advantage of Black Friday and Small Business Saturday this year? Plans for Cyber Monday? Personally, I’d pay full price for something – and always local! – before I’m up for the challenge of traffic, parking and crowds these days. But it’s a great time to start thinking of the perfect gift for the runners in my life! – and in yours! 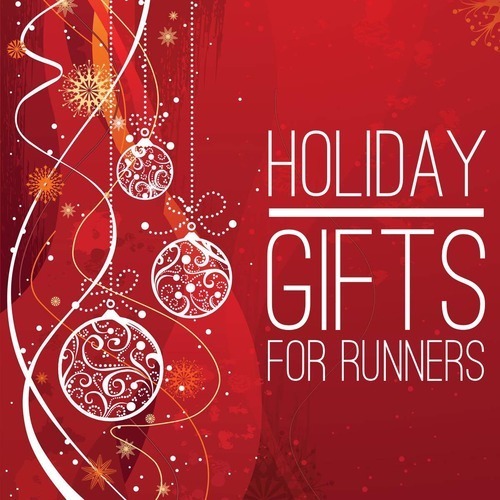 My absolute favorite picks to gift your runner this season! Winter Running Gear: gloves, hats, headbands, you name it! We like colors and options, so pick something that will make us think of you when we pull it on! I just snagged an awesomely run-perfect Skida hat, made in Vermont! Yurbuds: Not fair that Yurbuds keeps innovating, because now I want the new magnet ones that reduce tangling! These earphones never ever fall out while running – the best! Erica Sara Designs: The most beautiful jewelry, completely customizable for your race, distance or favorite motto! I haven’t taken my necklace off since my first time to 26.2 last fall! This will go right to her heart. Handheld Gadgets: Simple $20-30 gifts for your runner, I personally love the Nathan Hydration handhelds, Ultimate Direction belts and packs, Armpocket phone carriers, or the Flipbelt to carry anything and everything (I love this for the gym). Every run requires something a little different, so these are fun gifts for any runner! Road ID: A serious must for every runner or biker! Go ahead and make one on the website, or gift your loved one the option of customizing their own. These are fun AND will save your life! Flyer Jacket: If you grab one pricer option to make that woman in your life swoon, she definitely needs this incredible layer from Oiselle! The perfect layer for all the weather from fall till spring! Some of the above are my affiliate links to Amazon.com, but I always recommend stopping in your local running source too – they know best!